A story of battling magicians foretells the consequences of risking it all for the roar of the crowd. Writer/director Christopher Nolan visits similar Types of Plot in his movies. Interstellar and Dunkirk aside, his stories focus on problems with the Past, Memory, Understanding, and Conceptualizing: Leonard Shelby and his short-term Memory loss in Memento; Inception’s Dominick Cobb and his attempt to plant new Understanding into a victim’s subconscious; and the League of Shadows and their mission to match Gotham’s fate to that of Rome or Constantinople in Batman Begins. One finds the source of conflict in all these movies along a definite channel of the narrative spectrum. The Prestige ventures into the same territory with its narrative of two magicians embroiled in a cutthroat game of one-upmanship. The story at large seeks to unravel the events of that fateful night when Mr. Angier (Hugh Jackman) fell victim to his own magic trick–a result of apparent sabotage on the part of rival Alfred Borden (Christian Bale). Sneaking into each other’s private journals paints the landscape of their dissolving friendship with its deceitful depiction of personal remembrances. The Overall Story Throughline of the film explores problems of the Past, while the central Relationship entertains problematic instances of faulty Memory. The individual points-of-view motivating both Borden and Angier share a similar bent for an examination of conflict in process, yet differ along the dividing line of internal and external. Angier imagines himself a great magician while Borden maintains the ruse of a solo performance act, casting his beloved into emotional turmoil. Angier’s problematic Concept of himself finds balance with the deliberate Misunderstandings of oneself presented by Borden. Robert Browning’s poem applies to both magicians and casts the axis upon which both competing perspectives fall into alignment; both men driven to engage in the unspeakable in order to satiate their career ambitions. Angier develops and grows into the defining perspective of the narrative with this Main Character Concern of Conceptualizing and his Main Character Resolve of Steadfast. His version of The Transported Man exceeds Borden’s act, driving the latter to confess to his wife the lack of affection for her. Borden’s act of making her Aware of the fact that he doesn’t love her, ”Not today. No” seals the Influence Character Resolve of Changed and resolves his Influence Character Problem of Self-Aware. As friends and colleagues, Borden and Angier attend a performance by Chung Ling Soo, a 60-year old Chinese magician. This is the trick. This is why no one detects his method. Soo hobbles into the restaurant, frail, and fragile. Utter self-sacrifice. It’s the only way to escape this. Borden SLAPS the bricks of the wall behind them. When a character possesses Self-Awareness he fully appreciates all his feelings, thoughts, abilities, and knowledge. Everything he experiences or observes is couched in terms of his own point of view. With The Prestige we encounter several examples of Self-Awareness directed outwards and away from the individual. Chung Ling Soo’s dedication, Borden’s acknowledgment that he can’t ever escape the trap of his own invention, and Angier’s willingness to shoot himself night after night all describe conflict bred of this Element of Self-Aware. Problems of Self-Aware naturally call for Solutions of Aware. Revelations in the journals, “Abracadabra”, and confessions of missing or lost love resolve conflict in two of the Four Throughlines. An Awareness of Borden’s trick resolves the objective events of Julia’s death and the night Borden was setup with a Story Outcome of Success. Yet, it denies a subjective resolution the moment Borden seeks Equity for the death of his brother and karmic retribution for the events of the Past. He raises a pistol towards Angier and fires. Angier is a man driven by Desire, the motivation for fame and validation driving his inflated Main Character Issue of Sense of Self. Ignoring the warnings of inventor Tesla, Angier acquires resolution when he gains the Ability to perform the real Transported Man act. A different man in a different story would have counted his blessings and ceased the fight. All I wanted to do was prove that I was the better magician. But you couldn’t leave me alone. No. Not anymore. And I win. Because no one cares about the man in the box, the man who disappears. No longer content with his Main Character Solution of Ability, Angier returns to his Main Character Problem of Desire, cementing his Steadfast Main Character Resolve. Borden holds out the envelope. Don’t you want this? You paid for it. Borden nods. Angier steps up, takes the envelope. You always were the better magician, Borden. We both know that. He tosses the pieces on the ground. Being better than the other drives the Throughline of their friendship turned enmity. The scenes spent scouring journals for clues twist their individual drives of self-importance into a collaborative battle of wits. From the perspective of their Relationship Story Throughline, the problem of Self-Aware appears to be an overabundance of Inequity—or unfairness. This element of imbalance injects conflict into the narrative by motivating their eventual split from one another. This separation allows Angier to drown in his Desire—an ending that leaves him bleeding out at the foot of his monstrous ambitions. You went halfway around the world. You spent a fortune. You did terrible things…and all of it for nothing. Angier looks up at him with his last spark of competitiveness. Nothing? You never understood, did you? Why we did this? Borden just stares at Angier. Who smiles. It was the look on their faces. The look on the Audience’s faces. That sight drove Angier to ruin and ended The Prestige with a Story Judgment of Bad, casting the film in the category of a Personal Tragedy. Interestingly, the film cannot really be said to have a protagonist. Both sides are portrayed neutrally without either getting a sympathetic point of view. This gives a different slant on a story instead of just the normal protagonist vs. antagonist story. Instead we get a story about two overly obsessed flawed men. The mushiness of meaning behind this statement gives ample evidence for the need of an objective understanding of narrative structure. When casting Main Character and Influence Character into the framework of the storyform, one looks to perspective–not sympathies–to determine the positioning of the Audience. We share Angier’s ignorance in regards to Borden’s secret. We’re there with Angier when he accepts the adulation of the crowd from underneath the stage. And along with Angier, we squint our eyes towards the shadowy figure emerging from the darkness below to fire that fatal wound into us. Nolan allows the Audience to experience conflict from an I perspective–central to the definition of a Main Character–within Angier’s point-of-view. He then grants Borden the perspective of You congruent with the point-of-view provided by the Influence Character of a narrative. Instead of a “story about two overly obsessed flawed men”, we receive an account of conflict from a personal point-of-view, and the impact or influence of conflict from another’s point-of-view. The latter drives us to dig in our heels and remain Steadfast in our quest because of the other’s lack of understanding. The narrative structure of a story carries a specific meaning. The Resolves of the Main Character and Influence Character help to communicate this message to an Audience by their relationship to the Problems and Solution in the individual Throughlines, and the Outcome and Judgment present at the conclusion. 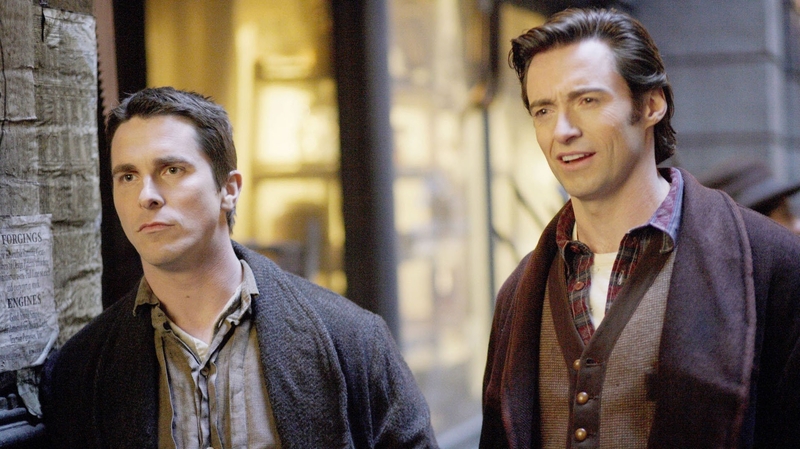 In short, The Prestige argues that maintaining your drive for personal ambition leads to a greater awareness of the past–but also sets you up for a dark and personally disastrous end. A Main Character Resolve of Steadfast, a Main Character Problem of Desire, and an Overall Story Problem of Self-Aware lead to an Overall Story Solution of Aware, a Story Outcome of Success, and a Story Judgment of Bad. While you may not understand, the look on their faces was all I ever needed. And with that, writer/director Nolan communicates his deeply personal message for us in The Prestige. The greatest art occurs when the artist opens up and telegraphs something honest and true to their life experience. A functioning storyform ensures a clear and strong signal.